This latest addition to Sankara literature is totally different in concept.It`s based solidly in tradition, and it is at the same time just the kind of presentation that makes the postmodern reader sit up and take notice. It is philosophical, yet never forbiddingly so. It reads more like a story. The prose is simple, smooth, and meditative. 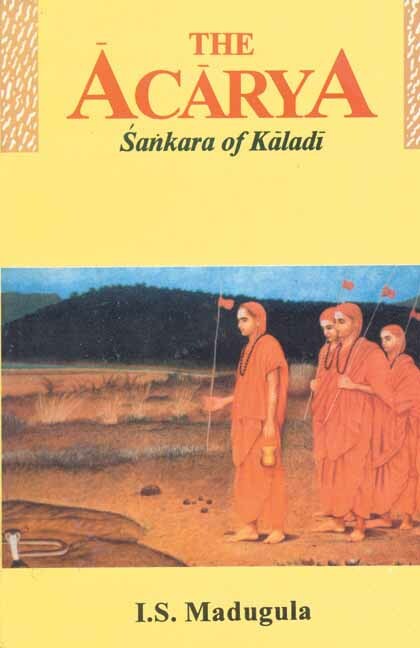 Padmapada, Sankara`s senior disciple, narrates the story in very human terms. His intent is not to glorify his master`s life and work--for that is hardly necessary--but to present him as a friend of humankind, someone who is needed generation after generation, millennium after millennium. Humans have not changed in terms of their strengths or their weaknesses since the race first evolved on the planet, nor are they likely to morph into saints any time soon. The prophets help us cope with the trials and tribulations of our daily lives and remind us of our divine roots if we care to listen. This book answers some of your serious questions about life if you have them read. If you don`t, it will help you formulate them. Coming up with the right questions, after all, is the first step toward finding the right solutions.INDUSEKHARA SASTRI MADUGULA taught English Language and Literature at Andhra University, Waltair, Central Institute of English and Foreign Languages, Hyderabad, India, and California State University, Bakersfield, California. He is currently head of the Reference Department in Palm Springs Public Library, Palm Springs, California.